Go on interviews only to get a job offer so they can get a counter offer from their current employer. All of the things above won’t change anytime soon. Do you both realize you’re doing grimy things to each other? One side is no better or worse than the other so lets call it even. THE GAME IS THE GAME, YOU BOTH KNOW THE RULES SO PLAY WISELY. Candidates, my best advice: Stop waiting for the phone to ring and stop chasing jobs and companies that don’t want you. If a company wants to hire you, they will, it’s that simple, you cannot follow up and magically force them to hire you. Ever date? How many times have you been ghosted? You keep texting and chasing someone that has no interest in you. They should create a job market version of “He Just Isn’t That In To You” because that is real life. Keep networking, applying and interviewing until you land the job you want. Even if you get a hint that a job is coming, keep searching!!!! Don’t stop applying and interviewing until you get what you want. Recruiters, my best advice: Stop thinking you have control over someone else’s life, you are a headhunter. You hunt heads and bring them to your clients, it is that simple! Candidates WILL and SHOULD always do what is best for them and their families, even if you feel they went about it wrong, you cannot fault them for taking care of themselves and their families. KEEP firing away with the best damn candidates you have until you have a finalist, a #2 and #3 in waiting and don’t stop until the deal is done. 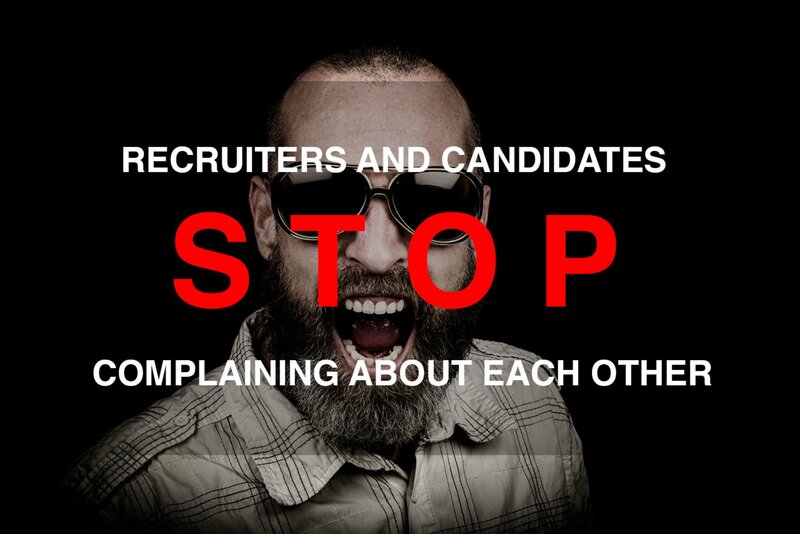 This is a mistake so many recruiters make, you’re banking on one candidate and when they back out, you get pissed. You should only get pissed at yourself for not having more candidates in the pipeline. Lets forget the negativity. Candidates, if a company doesn’t hire you, move on, there are so many other positive things for you to focus on in your life, don’t dwell. Recruiters, likewise, just move the hell on and work hard to make your clients happy. Both of you, don’t burn bridges man, the world is shrinking, everyone knows everyone in one way or another and it is completely unnecessary to boot. Find a way to for both of you to get what you want, our job markets are very fluid, it is possible for both parties to win.